itel has launched a budget friendly smartphone dubbed itel s13 with finger print ID and dual rear camera, the successor of iTel S12. The device features a 5.5 inches iPS display, 13MP front camera for taking great selfies and a dual 5MP + 5MP camera at the back. It is powered by a 1.3GHz quad-core processor with a 1GB RAM and has an 8GB internal memory which is expandable up to 32GB via the SD card slot. It runs android 8.1 Go edition, which optimises performance for low end devices; housed by a removable battery of 2400mAh capacity. Battery: Removable Li-Ion 2400 mAh battery. The itel S13 packs a bigger screen, a better resolution, a better camera and overall design compare to the S12. What do you think iTel fans? poor specs with high price. 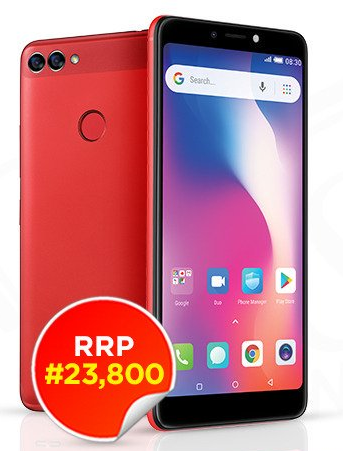 It is ok for that price but I wouldn’t touch it with the longest pole can’t really see myself comfortable with a device that has less than 2gb Ram. Nothing captivating at all. Same old story. Iphone is not a brand for quality shaaa.. Nothing fit hold me and them! How Has Been Your Glo 4G LTE Experience so Far?